Oh, we’ve been waiting for this one: The New York Times’ Richard Perez-Pena was charged with the prickly assignment of covering the Wall Street Journal’s new New York edition launching in April. 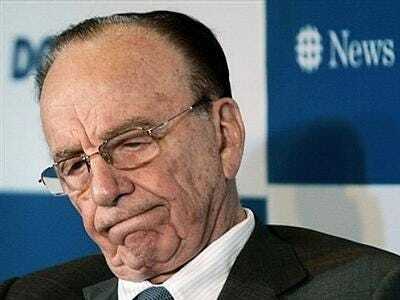 News Corp. chairman Rupert Murdoch’s new daily section (code-named “New Amsterdam) has revived the “blood sport” of good old-fashioned newspaper war mongering, with executives blasting each others’ coverage and editors stealing star reporters away for their section. The initiative is intended less to raise circulation numbers than to steal away a large portion of the consumer advertisers — like high-end retailers, luxury goods makers and residential real estate companies — that have traditionally preferred The Times. What is puzzling to analysts and industry executives — including some within the News Corporation — is that none of this makes much sense as a business proposition to aid The Journal, especially at a time when newspapers are struggling through a long-term financial decline. But for Mr. Murdoch, the chairman and chief executive of the company, these people say, profit is not necessarily what all this is about. Neither paper’s financial performance is reported publicly, but in a coming book, Sarah Ellison, a Journal reporter, writes that the paper lost $80 million in the fiscal year ended last June 30 — a figure confirmed by people briefed on the matter. The New York Times Media Group, of which The Times newspaper is the largest share, had an operating profit of $21.2 million in 2009. Meanwhile, at a conference this weekend, Times publisher Arthur Sulzberger Jr. said WSJ might be “taking on too much: changing its coverage and innovating digitally when the Times and others are focusing on digital innovation. ‘This is no small feat,’ he said,” according to a CUNY report.